On our trip to Sarasota Bay we discovered the amazing John and Mable Ringling museum of art. There is an international art collection of paintings and statues, a jewel-box Italian theatre, the world’s largest miniature circus and the Venetian Gothic mansion of a circus legend. The John and Mable Ringling Museum of art is the legacy of circus entrepreneur and art collector John Ringling and his wife, Mable. The 66-acre estate on Sarasota bay includes the museum of art, Circus Museum , Ca’d ’Zan mansion, Historic Asolo Theatre and bay front gardens with thousands of roses from all over the world. The Museum of art displays European, American, Asian, modern and contemporary art. It’ s Old Master paintings are among the rarest in the United States. There are masterpieces by Rubens, Van Dyck, Titian, Velazquez, El Greco, Gainsborough and a collection of Cypriot antiquities. The Circus Museum features The Howard Bros. Miniature Circus it is the cornerstone in the Tibbals Learning Center. The replica in miniature of Ringling Bros and Barnum & Bailey was created by circus historian and philanthropist Howard Tibbals. The model is a 3/4inch-to-the-foot scale and features eight circus tents and 42, 000 objects in a 3, 800 square foot exhibition space. The historic Wisconsin railroad car, vintage costumes, memorabilia and circus wagons are featured in the original Circus Museum. John and Mable Ringling fell in love with Meditterenean architecture and were determined that their home on Sarasota Bay, Ca d’ Zan house of John, would emulate the grandeur of the Doge’s Palace and the famous minaret of Giralda Tower of Seville in Spain. Contemporary and traditional theater programming grace the Stage of the Historic Asolo Theater year-round with dance, theater, music and more. A grand collection of thirteen historic Banyan trees a waterfront Bolger Promenade & Campiello, tree trails, pathways, Mable’s Rose Garden, the Museum of Art Courtyard, Secret Garden and Dwarf garden. 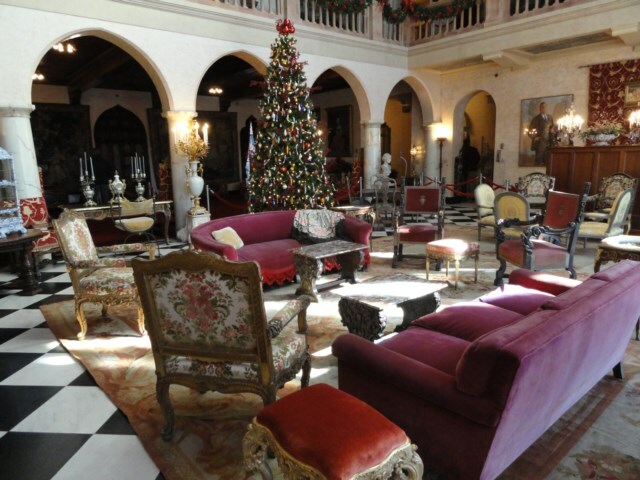 During our visit at the Ringling Museum we had the chance to visit one of the Museum restaurants. The Museum offers a range of affordable dining options including a coffee shop, cafe and full service restaurant as well as several picnic areas throughout the estate. Whether you are visiting for a few hours or a full day, it is worth it. An amazing experience for all ages. Some of the staff are volunteers very knowledgeable and helpfull with lots of information regarding the couple John and Mable Ringling that choose Sarasota as the base for their dream. They are both buried in the grounds of Ca d’ Zan Mansion which is open to public. Upon John Ringling’s death left his art collection and estate to the people of the State of Florida. 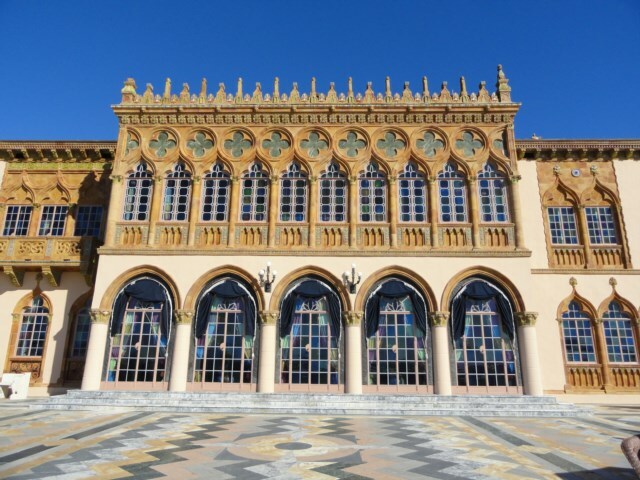 In 2000, the State of Florida transferred stewardship of the Ringling Museum to Florida State University, establishing the Ringling estate as one of the largest museum/university complexes in the country. Viewed 2725 times since 14 June 2013. A Driving Experience at Revolution.